Bill Alves is a composer, writer, and video artist based in Southern California and engaged at the intersections of musical cultures and technology. He has written extensively for conventional acoustic instruments, non-Western instruments (especially Indonesian gamelan) and electronic media, often integrated with abstract animation. CDs of his audio works include The Terrain of Possibilities and Imbal-Imbalan, Mystic Canyon, and Guitars and Gamelan. 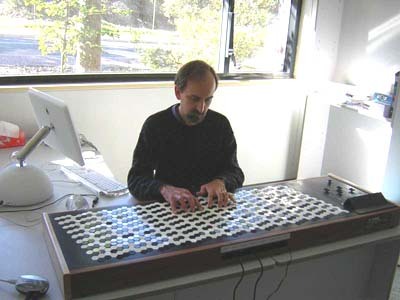 His work with computer animation pioneer John Whitney inspired abstract computer animations with music, now released by the Kinetica Video Library as Celestial Dance. He is the co-author with Brett Campbell of the new biography Lou Harrison: American Musical Maverick. He is also author of the book Music of the Peoples of the World, now in its third edition from Cengage/Schirmer. Other writings have appeared in Organised Sound, Perspectives of New Music, Computer Music Journal, SEAMUS Journal, 1/1, and elsewhere. In 1993-94 he was a Fulbright Senior Scholar Fellow in Indonesia, where he studied the gamelan orchestra music of Java and Bali. He currently directs the HMC American Gamelan, an ensemble of specially tuned Javanese instruments dedicated to the performance of new, non-traditional music. 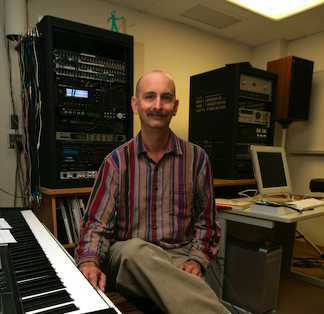 He often explores new musical tunings in his works and is one of the organizers of MicroFest, the annual Southern California festival of new music in alternate tunings. He teaches at Harvey Mudd College of the Claremont Colleges in Southern California.